"Cafe Luna has super friendly service and the best brunch menu *ever*. Joe's sliders melted in my mouth with scrumptious biscuits, eggs, corned beef hash and ham. Since we were able to get half orders of French toast, we tried both the Cookie Monster and the Lemon Berry. Yummy! This cafe is a happy wonderful place :) I got some takeout for my kids because I felt guilty having such a decadent meal without them. Thank you!" Cafe Luna is great food and great service. What more can you want? They also have smooth Blue Bottle coffee, so that's yet another plus! I also want to mention that I had the best pancakes of my life here. Our server told us that the chef took months perfecting the recipe -- I believe it! "Fast forward to a few days ago, when we spent a 'let's enjoy our new apartment without moving our stuff in yet' weekend in Cambridge. Brunch is very important to me (also, alcohol with brunch is a non-negotiable), so I immediately started searching yelp for the best brunch in Cambridge. As soon as I came across this page, I stopped looking and decided we would go here." 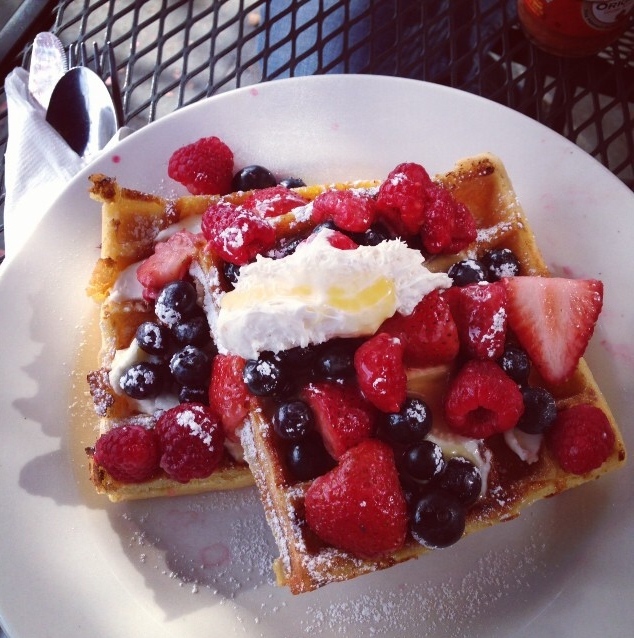 "This was the third time we had brunch at Cafe Luna and this place is my favorite. I had waffles with caramelized apples which is like have breakfast and desert at the same time. The first time I had waffles and wings on a Saturday and then came back on Sunday and had the same thing again. I would have had them again on this trip but they must have been a special and weren't available. There will be a wait but it is well worth it. The people working there are a lot of fun. You need to try this place!" "I ordered a selection of sandwiches, chips and salads, as well as cookies from here. Teri was great at helping plan the order (suggesting some of their other signature sandwiches) and making sure everything was packed the way we wanted. The delivery was right on time and they set up all the food." "Super-friendly owners, and brilliant weekend brunch - all the French Toast dishes are to-die-for, and they have new ones every week." "I can't say enough about this place, it is one of my favorite places to eat in the Great Boston Area. The staff is great, the ambience of the restaurant is laid-back, the owners are genuine/fantastic people, and of course...the food is delicious. Go for brunch on a Saturday or Sunday morning and you won't regret it. They create unique dishes that are so flavorful it makes you wish you could eat here everyday." "This place was fantastic!! Huge menu, great prices, and most importantly, the food is absolutely delicious. Even better: the staff were incredibly friendly and accommodating and even brought around cinnamon rolls fresh from the oven for the customers. I can't recommend this enough--worth the wait (it's a typical Boston tiny restaurant)." "This is the best restaurant in Central Square! The sandwiches were super tasty and services were great! It is a little crowded but you can always sit outside and enjoy your beautiful day! People there is the most awesome part about the place. They constantly check on you and make sure you are having a great time. I once forgot my wallet there and didn't realize it till 2days later. I wasn't expecting anything but called Cafe Luna anyway. They amazingly have my wallet with everything in it and were trying to contact me! Thank you! If this won't make them the best in the area, what else?!"